Have you been told that if you don't use your muscle, then you lose it? New research suggests that this isn't exactly true. 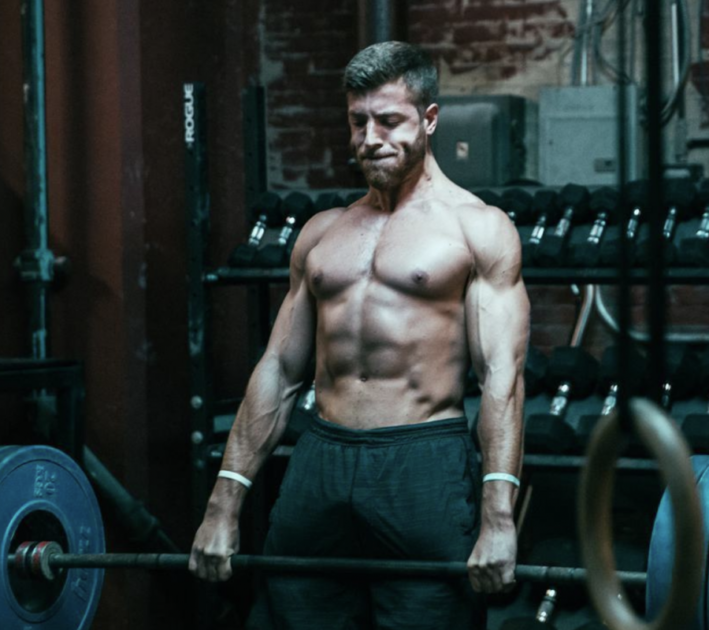 Have you ever heard the notion that if you stop lifting weights, then you’ll instantly lose all the muscle that you’ve spent forever working on? New research dives into this topic and challenges the previous “use or lost it” muscle memory dogma (1). This could be big news for athletes and coaches, as it’s long been thought that detraining, injury, and paralysis can potentially lead to massive (if not complete) atrophy of the muscle and the additional nuclei that have been formed with training. When we strength train there are a few different things that happen within the muscle. First, as we train muscle becomes damaged from the stressors we put upon it, and this damage then stimulates muscle repair. As muscle repairs it will grow back stronger than before (with appropriate recovery), and then typically hypertrophy to match the increased demands continually placed on it during training. Second, to accompany the increase in muscle fiber growth, nuclei from within and outside the muscle fiber are also added to the fiber to facilitate its growth, and this is where the latest research comes in. For a long time, there’s been a dogma in the strength and conditioning world that circled around the “use it or lose it” thought. Basically, it was thought that as muscle atrophies due to inactivity, injury, or paralysis, then the muscles also lose their nuclei and undergo something called apoptosis (the death of cells due to normal growing processes). In theory, this all seems to make sense and previous research had previously thought they observed this happening. Although, as technology improves, so do our means of finding new direction. Apoptosis — Death of cells due to normal growing processes. Muscle Hypertrophy — Skeletal muscle growth. Muscle Atrophy — Deterioration of skeletal muscle. Syncytium — A single massive cell that’s made up of multiple nuclei, or divided nuclei. Myonuclear Domain Hypothesis — The hypothesis that states as cells hypertrophy they build new nuclei to match their growth, then the nuclei die at an equal rate during atrophy. Muscle fibers, especially larger, trained fibers becomes syncytial over time. In short, this means that as we train, our muscle’s nuclei count increases to accommodate for higher rates of protein synthesis and the work needed to maintain the muscle’s contractile properties. The Myonuclear Domain Hypothesis suggests that a nucleus can only support a certain amount of cytoplasm within a muscle fiber, so as a muscle fiber atrophies, then the muscle’s nuclear-to-cytoplasm ratio would also decrease, as they’ve been suggested to be closely related (2). Muscle fibers contain nuclei that reside both within and outside of them, and this has previously made identifying accurate nuclei loss during skeletal muscle atrophy tough for researchers. A new review has highlighted that muscles may not undergo apoptosis during planned atrophy and programmed cell death like previously thought, or at least to the same degree as hypothesized. Lawrence M. Schwartz from the University of Massachusetts Amherst recently wrote a review in Frontiers challenging the Myonuclear Domain Hypothesis (3). The first studies highlighted in the review were performed by the Gunderson Lab. For these studies, researchers injected individual muscle fibers in either the extensor digitorum longus (EDL) or soleus muscles in mice with dyes to observe nuclei growth and loss during planned hypertrophy and atrophy phases (4, 5). Once the muscle fibers were injected with dye, they were induced to hypertrophy and it was noted that their myonuclei increased. Myonuclei, also known as Satellite cells, contain virtually no cytoplasm and often provide additional nuclei to muscle fibers as they hypertrophy. After it was noted that the muscle fiber’s experienced myonuclei increase during the hypertrophy phase, the fibers were then induced to atrophy. Upon their atrophy, researchers noted that fibers experienced about a 50% loss in size in total muscle fiber volume, but had virtually no loss in their nuclear count. This would suggest that even though atrophying in size, muscle fibers still kept their nuclear count that was formed during their hypertrophy phase. In the review, Schwartz notes that there are multiple limitations using the mammalian skeletal muscle as an example, and then assesses a similar concept performed on the tobacco hawkmoth. For the moth’s research, authors analyzed the moth’s intersegmental muscle fibers and their nuclei during various stages of their lifespan. These intersegmental muscles are responsible for crawling (as larvae) and emergence of the abdomen (as an adult moth), aka they experience hypertrophy and programmed cell death in their life span. Researchers note that the intersegmental muscles are unique because they do not contain additional satellite cells and all of their nuclei come from with the muscle fiber, in addition, these muscles have a programmed cell death during the emergence period of the moth’s lifespan. Researchers used two methods to monitor muscle fibers during their programmed cell death: A standard anatomical approach and the monitoring of DNA content of individual muscle fibers. Upon their analysis, researchers noted that muscle fibers ended up losing around 49% of their normal mass, but their nuclei count remained consistent with little change. Remember, these muscles lack additional outside cells to contribute nuclei, so these results are only accounting for what was inside the individual muscle fiber. This new review is incredibly interesting because it challenges (disproves) the previous notion that nuclei deteriorate during times of muscular atrophy. From the review above, it’s noted on multiple occasions that as muscles atrophy and lose their total size in volume, their nuclei count remains consistent. This could mean that the “use or lose it” thought process is somewhat void when it comes to complete loss of a muscle’s growth (across multiple spectrums, not just size). This now brings into question the idea of muscle memory and what exactly goes on during regeneration of trained muscle. On top of his review published in Frontier, Schwartz also made a few comments about the review in the Medical Press that are very interesting for strength athletes. At the end of the day, the latest review uses mice and insects as their subjects, so more research is needed before drawing any definitive conclusions. Although, with new technology and from what has been displayed in this review, the “use it or lose it” dogma might be proven to be outdated soon enough. 2. TR, G. (2019). Coincidence, coevolution, or causation? DNA content, cell size, and the C-value enigma. – PubMed – NCBI . Ncbi.nlm.nih.gov. Retrieved 8 February 2019. 3. TR, G. (2019). Coincidence, coevolution, or causation? DNA content, cell size, and the C-value enigma. – PubMed – NCBI . Ncbi.nlm.nih.gov. Retrieved 8 February 2019. 4. Bruusgaard JC, e. (2019). No change in myonuclear number during muscle unloading and reloading. – PubMed – NCBI . Ncbi.nlm.nih.gov. Retrieved 8 February 2019. 5. Bruusgaard, J., & Gundersen, K. (2008). In vivo time-lapse microscopy reveals no loss of murine myonuclei during weeks of muscle atrophy. Journal Of Clinical Investigation, 118(4), 1450-1457.